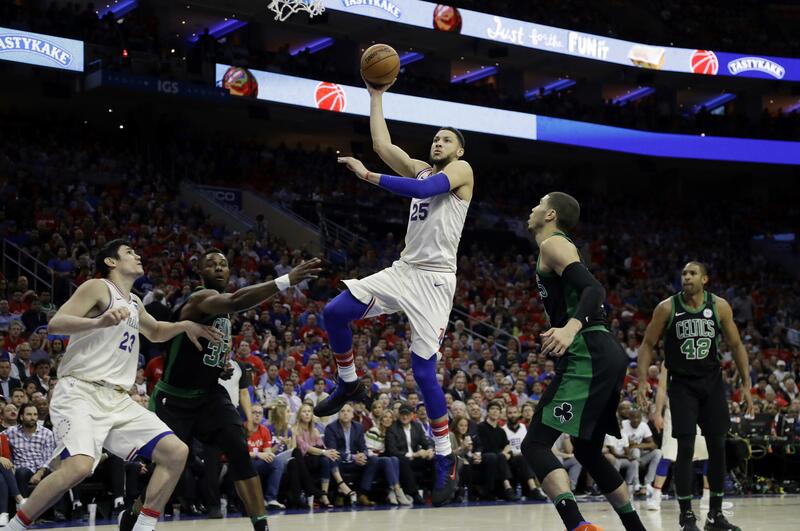 Mon., May 7, 2018, 6:35 p.m.
PHILADELPHIA – T.J. McConnell turned a surprise start into the save of the season and Dario Saric scored 25 points to help the Philadelphia 76ers stave off elimination in a 103-92 win over the Boston Celtics in Game 4 on Monday night. McConnell had a career-high 19 points, seven rebounds and five assists in only his second start of the season and meshed well in the backcourt with Ben Simmons. The crowd chanted “TJ! TJ!” each time he touched the ball in the fourth and proved why he has been so valuable even as bigger stars have sliced his playing time. “I can tell you the Philadelphia 76ers spirit is just fine,” Brown said. McConnell, an undrafted third-year guard, had started 68 games combined over the last two seasons and served as an example of the type of player The Process was built on. He was an underdog, a hustler, a court general that made him a reliable favorite for Brown. But Simmons’ emergence put McConnell on the bench, and without complaint. Published: May 7, 2018, 6:35 p.m.